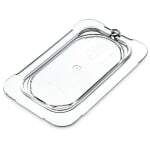 The Carlisle 10336U07 StorPlus™ ninth-size food pan lid fits a wide range of ninth-size food pans since its universal design can fit pans from a variety of brands. 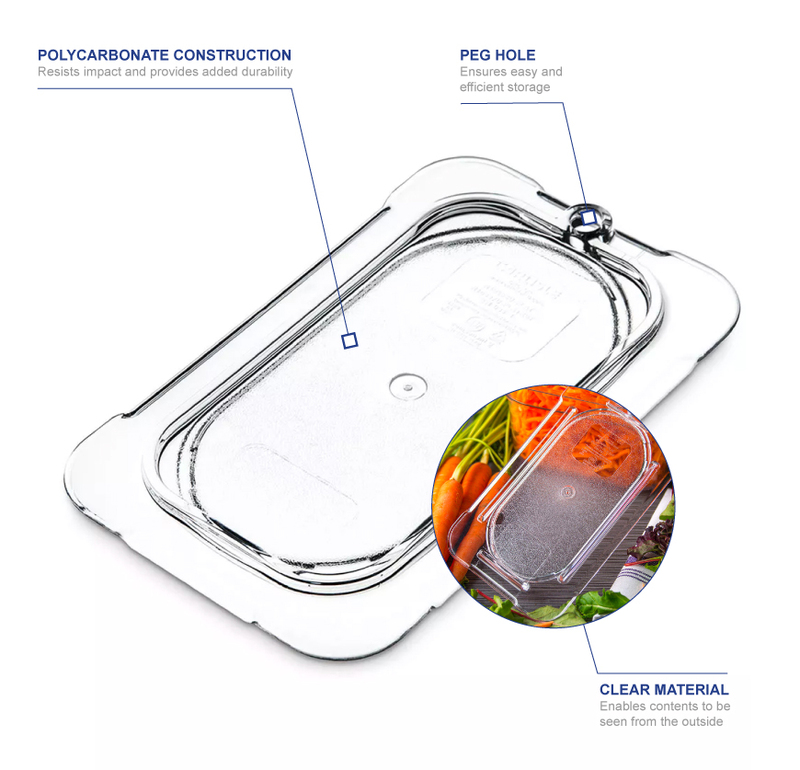 Made of polycarbonate, the lid is resistant to damage from impacts as well as oils and acids from food. Since the material is clear, items kept inside containers remain visible when covered, and the lid can be stored with a convenient peg hole. 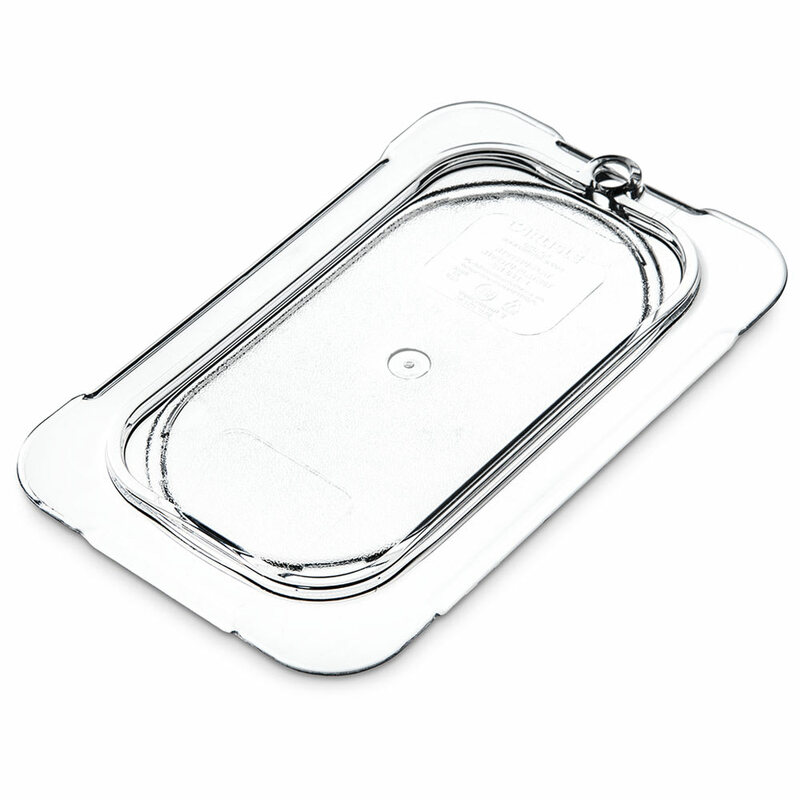 The Carlisle 10336U07 StorPlus ninth-size food pan lid withstands temperatures ranging from -40 to 212 degrees Fahrenheit.